Dungon-late is a tree 5 to 15 meters or more in height. Bark is grayish, fissured, and scaly. Leaves are oblong-ovate to elliptic-ovate, 10 to 20 centimeters long, the apex pointed or blunt, the base usually rounded, the upper surface smooth and shining, the lower surface densely covered with small, round, pale or silvery-white scales. Flowers are numerous, yellowish-greenish, bell-shaped, about 5 millimeters long, usually 5-toothed, borne on hairy panicles 7 to 15 centimeters long. Fruit is hard and shining, woody, smooth, broadly boat-shaped, 4 to 8 centimeters long and keeled. - Along the seashore throughout the Philippines. - Also occurs in India to tropical Africa and through Malaya to Polynesia. - Kernel contains 8.32% fat, nitrogenous substances 11.07%, MgO 6.29%, CaO 1.43%, P2O2 22.23%, SO3 8.04%, Cl 1.07%, Al2O3 2.68%, Mn 0.04%, Fe 0.41%. - Seed contains tannin, fixed oil 7.38% with no caffeine. 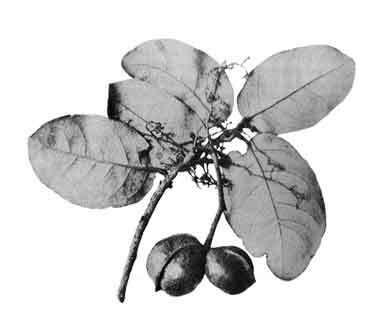 - In the Moluccas, extract of seeds used for diarrhea and dysentery. - In Vietnam, decoction of seeds used for diarrhea and dysentery. • Timber tree: Known in the Philippines as a timber tree – used for piling, posts, foundation, ties, paving blocks, ship building, joists, rafters, hubs, spokes, handles for picks, axes and other tools. • Bark tannin: Used for toughening fishets. • Toothbrush: In Malaya, twigs used as toothbrush. • Fish poison: Sap used as fish poison. • Anti-Inflammatory: (1) Compounds from extracts of HL were investigated for NO inhibitory effects using RAW2264.7 macrophage cells. Ergosterol peroxide exhibited the highest activity against NO release. The mechanism in transcriptional level of ergosterol peroxide was dose-dependent down regulation of mRNA expressions of iNOS and COX-2. 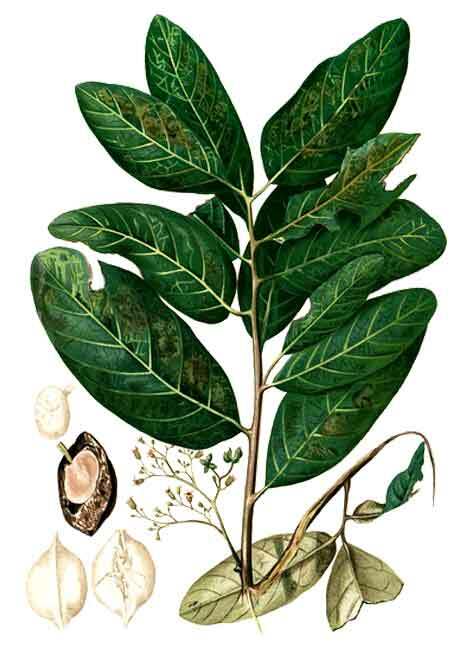 (2) Study support the use of H. littoralis bark for the treatment of inflammatory-related diseases. The effect may be mainly due to inhibition of NO and PGE releases through down reguation of iNOS and COX-2 mRNA expressions. • Antioxidant: In a study of ethanol extracts of 53 parts of 36 species of plants for antioxidant-related activities, H littoralis (branches) was one of six plants that showed strong DPPH radical scavenging activity.